Long, long ago I bought my first pair of heart shaped sunglasses. Then one day, they got squashed in my book bag... and evidently, the frame devastatingly fractured ever so slightly. Ever since, they have been stored away just waiting to be mended. 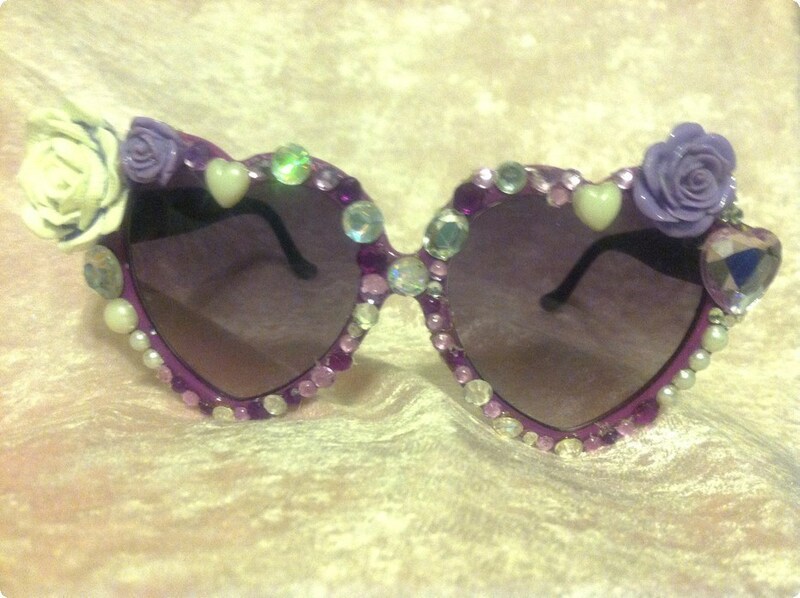 Probably one of the prettiest and most fabulous glasses ever seen! 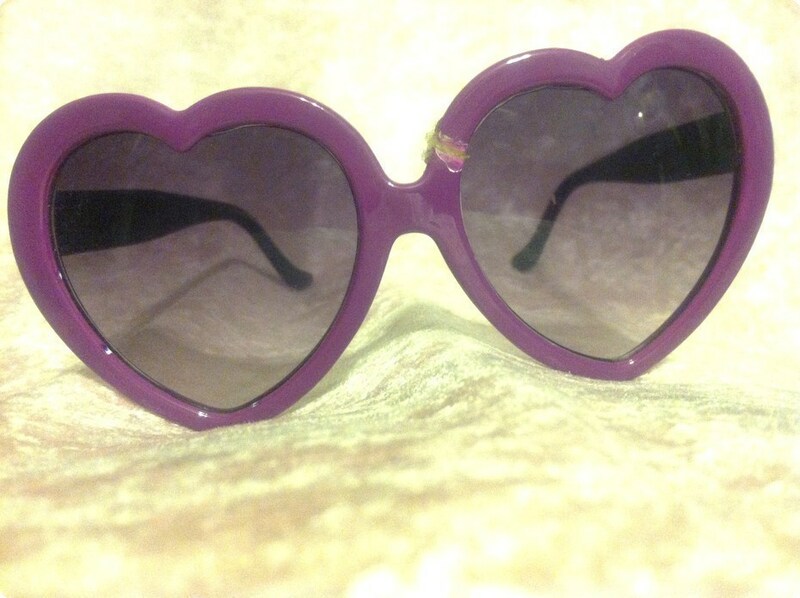 I need to buy heart shaped sunglasses now! 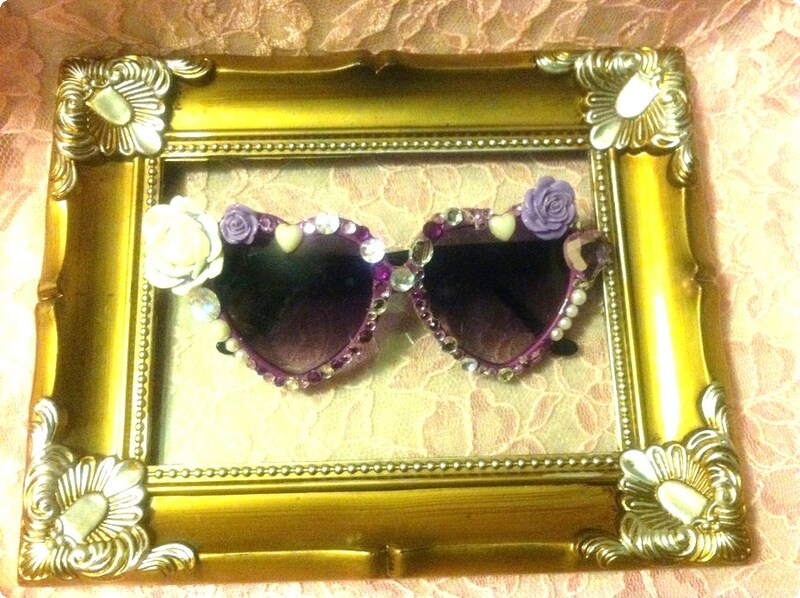 You're so creative! !